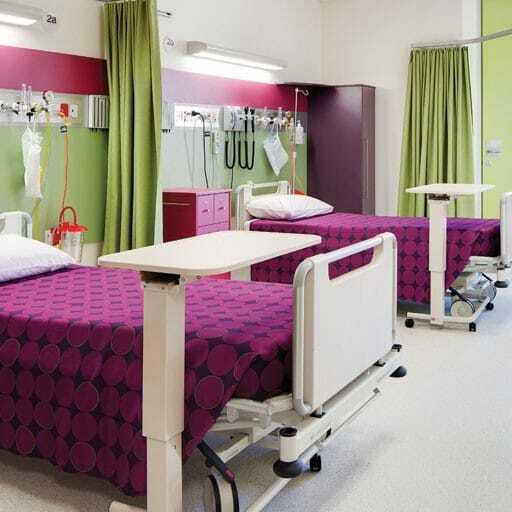 Facilities for operating theatres, treatment services, education and preventative care. Hospitals are programmatic in nature. It is the space in between and around these programs that presents opportunities for individuals to remove themselves from the clinical environment. A chance to capture a view, take in some sunlight, have a break, to go outside. Spaces that provide a chance to think – reflect, relax and heal. 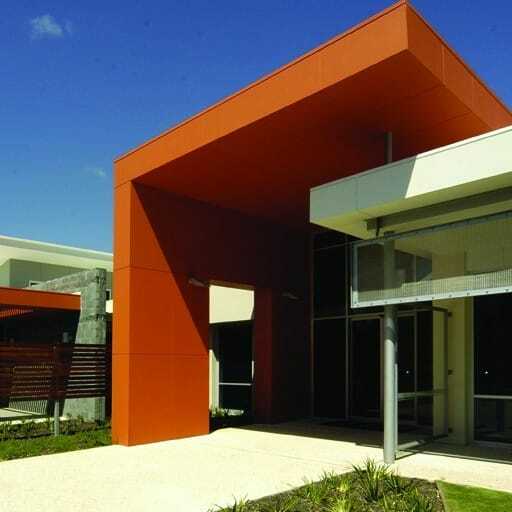 By linking these possibilities to SA Health’s new ‘Model of Care’ philosophies, in particular, the notion of a healing environment and providing individual care at the point of contact - at the patients’ bedside - the primary drivers for the Whyalla Cancer Centre redevelopment was formed. Adopting these core values of the entire design team aimed to produce an integrated design outcome that responds to the ability to provide spaces that remove the occupants from the clinical. 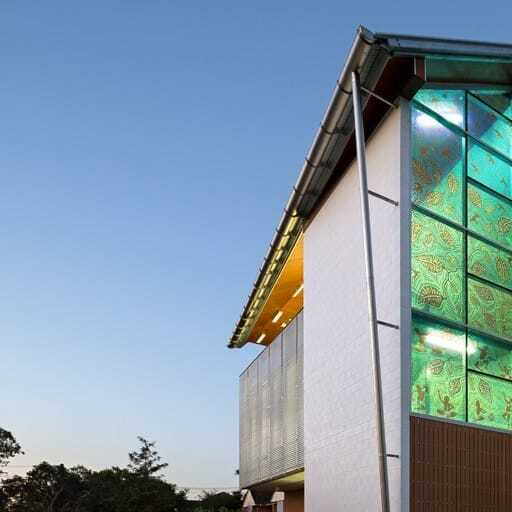 From architect to landscape architect, through to the inclusion of local aboriginal based art and healing installations that have been embedded into the built form. All disciplines aimed to produce a place of interaction and healing for the greater the Whyalla community. Whether it’s within a ward, courtyard, meeting room or within the operating theatre and recovery areas, access or glimpses to natural light and the external environment has been upheld throughout the development. 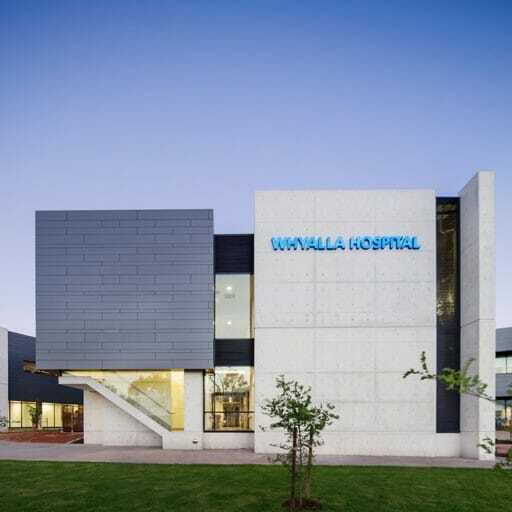 The original Whyalla hospital site encompassed a hospital development history with buildings constructed in the 1940’s, 1960’s and 1980’s. It is through these sequential additions the site has gradually become disjointed, leaving the hospital to offer multiple main entry points, placing public circulation paths through major clinical areas and requiring the emergency department to act as the hospital’s main reception point in conjunction with its primary function. All of which maintain an inwardly facing work environment with limited access to the external environment. From these observations, the new addition to the hospital has been designed around a new main entry point. This becomes not only a definitive entrance to the new cancer centre but allows the ability to reconfigure the circulation paths within the hospital and resets them into the public and clinical areas. It offers a new hospital reception point and returns the emergency department to its fundamental operations. The new entry along with the new reception, foyer and kiosk facilities acts as a major directional node and community hub for the new development. From here you gain access to the first-floor cancer centre, new double storey ward block, new theatre and day surgery areas and have access to the existing buildings within the hospital complex. It is a space that encompasses all aspects of the hospital’s operations. But it is also a major waiting area and place for user interaction and discussion. External materiality, form and texture has been driven by durability, low life maintenance, giant cuttlefish, DNA sequencing, exposed structural – bone - elements, roads to nowhere, steel production, skins, cellular networks, medical imagery and abandoned farm machinery. The building has been designed to meet a 5 green star rating via the formal ‘self-assessment’ mechanism. 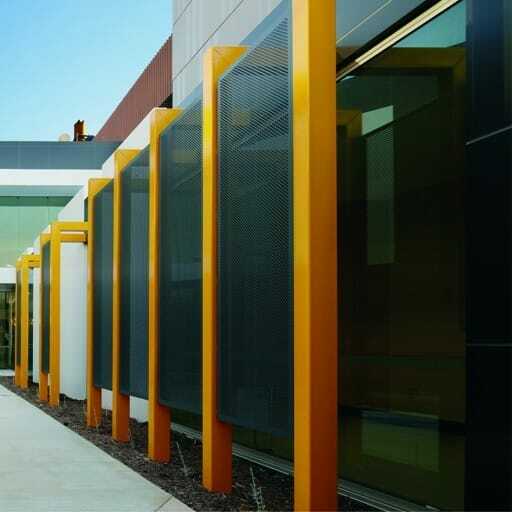 In brief -The Whyalla Regional Cancer Centre Redevelopment has utilized a board range of mechanisms under this self-assessment to minimize its effect on the environment. By utilizing this method the building not only reduces its carbon footprint has also reduced the negative effects to its end users of sick building syndrome. Low VOC and formaldehyde materials have been strictly specified with patients and end users in mind. Building user comfort and the cost of maintaining the desired ambient temperature has been targeted as to be reduced not only through efficient mechanical selection. 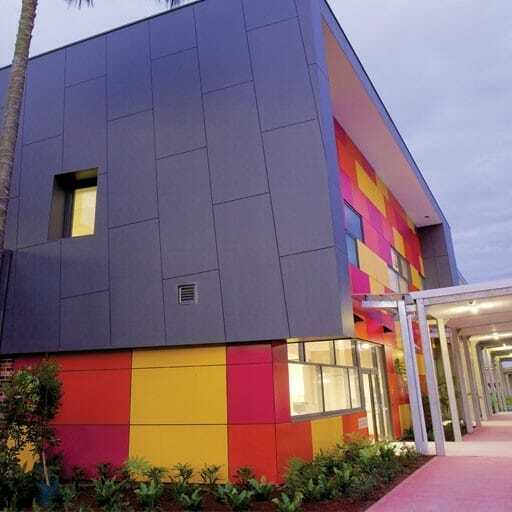 An additional passive approach has been used throughout the building fabric, multiple layers of insulation throughout the building – exceeding all BCA section J requirements. All external walls have been double layered with external ‘aircell’ sarking while also incorporating in wall acoustic insulation. Likewise ‘aircell’ was also been adopted as the roof sarking while ceiling insulation was specified to all areas throughout the building. Similarly, all internal walls have been fully insulated to their full height to the underside of roof sheeting. This approach has been adopted to provide as much thermal mass as possible to a lightweight building solution. All windows have been modelled to provide maximum horizontal sun shading. All roof water is collected within a 200,000 L underground storage tank for landscaping reuse. All fixtures and fitting have been specified to the highest WELS ratings. A comprehensive site-specific ISO 14001:2004 compliant Environmental Management Plan was utilized throughout the construction.